This Balsamic and Honey Brussels Sprouts recipe you can serve guests and they’ll never know how easy it was to make! You can’t go wrong with this super easy recipe! 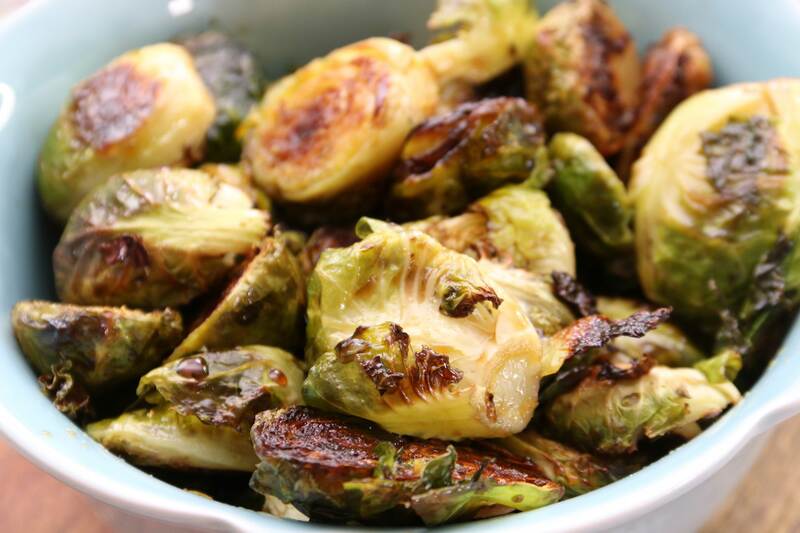 Just slice up your Brussels Sprouts and roast for 26-30 minutes at 400 degrees. It takes about 5 minutes to prep this awesome side dish. You can roast a few pounds at once and eat it throughout the week. 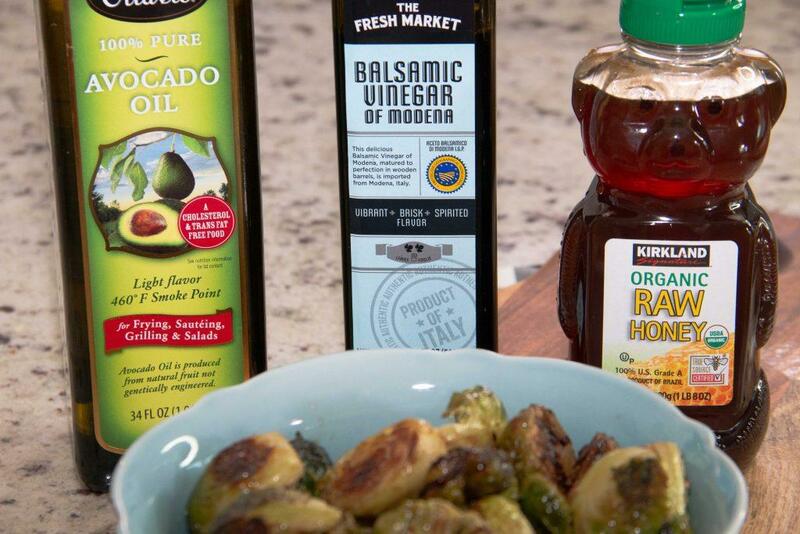 Once your Brussels Sprouts are roasted, you’ll add your honey and balsamic. This is my absolute favorite Balsamic vinegar. It’s Fresh Market’s own brand. I’ve tried at least 20 different brands and none hold a candle to this one! If I can’t find local organic raw honey, which is best, I use this organic raw honey from Costco. As I mention in my video, I always use avocado oil when roasting over 375 degrees. Olive oil’s smoke point start starts to tucker out around 375, so as a rule in our home, we move to avocado oil. I get this one at Costco also. I’ve struggled to find an organic avocado oil that doesn’t cost as much as my car. If you’re not a huge vegetable fan, then here is a great tip, roast your veggies! Roasting brings out the sweetness in veggies and makes them delicious. The more veggies you eat, the more you’ll start craving them. I created a video sharing my four favorite ways to prepare Brussels Sprouts. This way you can switch up how you’re offering Brussels Sprouts. Brussels Sprouts are a great source of Vitamin C and high in Fiber! 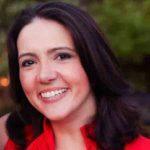 They are also high in Vitamin K, ALA Omega-3 Fatty Acids, and may reduce inflammation. So eat up!! There is a lot of fraud in honey, so try to always buy organic raw honey. That’s where you are going to get the health benefits from honey. The benefits of buying local honey are huge! It can help reduce seasonal allergies since the bees are pollinating the same plants that might be causing your allergies. These bees can help you build up a resistance. Buying local organic honey also helps support local beekeepers in your area. Bees are now on the endangered list 🙁 so it’s on us to do what we can to help our bees. This Honey and Balsamic Brussels Sprouts recipe is a show stopper and it's so incredibly easy to make! It's perfect for dinner guests or just a regular Thursday night dinner. Pre-heat oven to 400 degrees. Halve Brussels sprouts*. 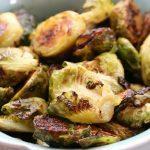 Toss Brussels sprouts with 2 TBSP oil, salt, and pepper. Once roasted to perfection, take them out and place in a bowl, add honey and balsamic. Mix to coat evenly and serve. *Sometimes you'll get large Brussels sprouts along with small ones. Cut your larger ones into quarters so they can all cook more evenly.